POSIBLE is the Philippines’ trusted digital transactions provider. Our company relies on more than 20 years’ experience in the IT, telecommunications, and banking industries. 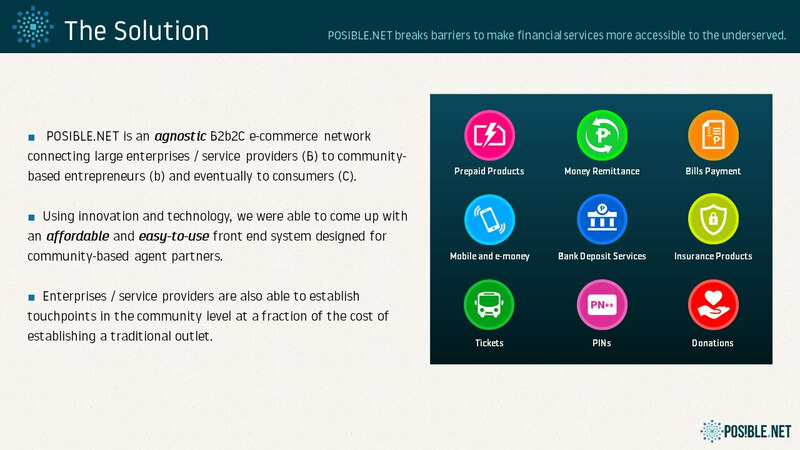 Discover more about POSIBLE and how we are changing digital transactions in the country today. According to the latest report of the Philippines’ central bank (BSP), around 34 percent of towns and cities in the Philippines do not have access to banks or payment centers. Foremost reasons are the country’s scattered islands plus the lack of infrastructure, which make banking and communications quite difficult. As a result, many Filipinos have to travel long distances just to do simple chores like sending money or paying their bills. POSIBLE breaks this Great Wall by bringing essential services right into the community. 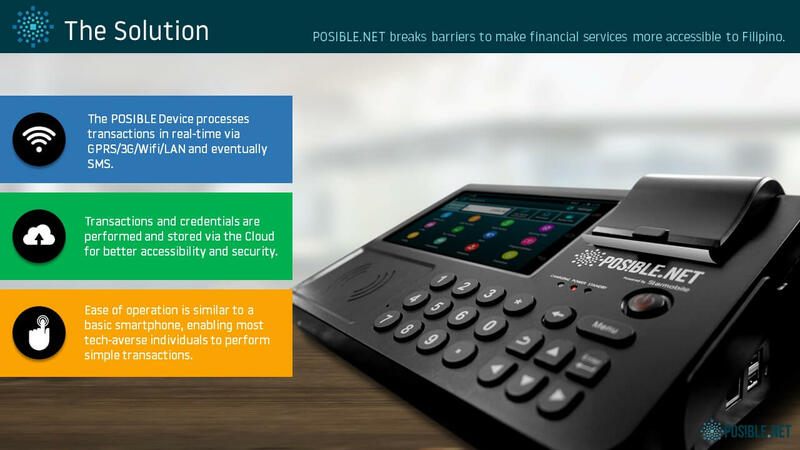 Our primary tools are an easy-to-operate machine and the country’s most comprehensive B2b2C network. By putting these tools in the hands of trusted people such as shopkeepers and sari-sari store owners, communities now have easy access to digital services such as bills payment, money remittance, and ticketing services. 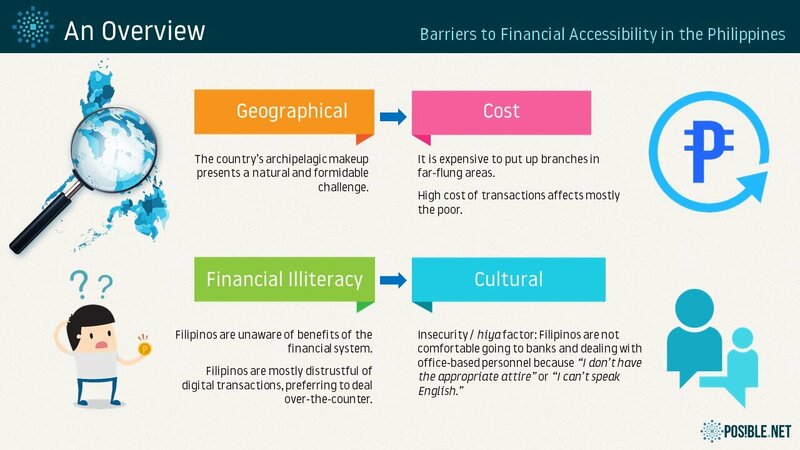 Moreover, Filipinos learn to use and develop confidence in digital transactions. To learn more about POSIBLE, we invite you to visit our head office in Makati City. Take time to talk with our management, or meet with our dedicated Sales and Operations agents. Simply click here to schedule an appointment.